Lately, eDiscovery related conferences are sprouting up all over the country. 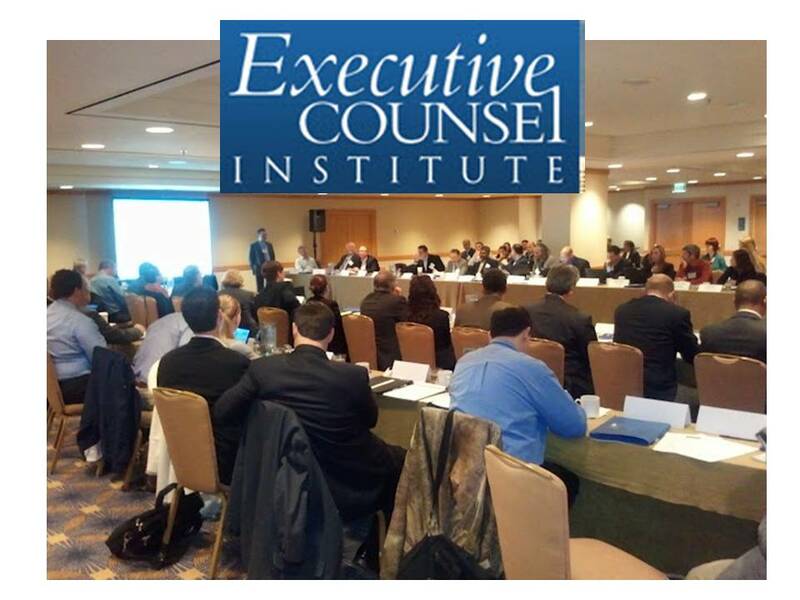 If you are a small company or law firm, it is difficult to decide which ones to attend and how you will get the most “bang for your buck.” Unlike most conferences where there is a panel of industry experts that make traditional PowerPoint or “fancy smancy” Keynote presentations, then field questions from the audience at its conclusion, the Executive Counsel Institute adopts a more differentiating format. Labeled as “The Exchange,” it is comprised of 10 in-depth roundtable sessions geared towards educating and assisting corporate in-house counsel regarding the latest trends in eDiscovery related technology and best practices. Although the sessions are moderated by the heads of eDiscovery practice groups of some of the most prominent international law firms and corporate in-house litigation support practitioners in the world, participants can freely ask questions and share antidotal comments and recommendations equally. This unique format allowed various members of the audience to chime in on a multitude of topics based on the Electronic Discovery Reference Model (EDRM). Sitton v. Print Direction, Inc., — S.E.2d —, 2011 WL 4469712 (Ga.App. September 28, 2011) – where the court upheld that the employer was allowed to monitor an employee who brought his own laptop to work to work on a competing venture using their internet. Through these discussions, additional concerns were flushed out regarding the implications of these decisions, such as: How do you preserve your data when it is in the cloud and can involve multiple cloud vendors? What happens if you are working “offline” and alter documents locally that are not in the cloud yet or are in draft form, are they collected and/or still protected under attorney/client privilege if they never reach their final destination? What are the issues with data privacy when “outsourcing” sensitive documents like HR, audits, etc.? These are just some concerns that arose during the conference. Always a fascinating and evolving topic, new social media eDiscovery solutions were discussed to collect and produce the relevant data from people participating in this space. Some companies that were referenced with emerging social media eDiscovery technology were X1 eDiscovery (a desktop search application and now focusing on Social Media self collection and archiving), NextPoint, Hanzo Archives, and Covogence. David Kessler, Partner at Fulbright & Jaworski LLP, mentioned that there were cases in Pennsylvania involving social media sites that are being used by defendants to win cases by treating postings as admissions by the party. In one instance, a judge forced the defendant to “friend” them so that he could see beyond the privacy settings for an in camera review. Bill Kellermann, E-Discovery Director at Wilson Sonsini Goodrich & Rosati, LLP, referenced the “Snitches get Stitches” case, where a killer’s girlfriend tried to intimidate a witness by threatening him/her using social media. Companies really need to have solid policies and procedures and monitor their employees’ social media activities to limit their exposure and utilize the appropriate tools available to collect and produce this activity. 1. Load only your most important custodians to create your “seed set” and then apply to the larger data set. 2. Use PC on your set of documents and determine the key words that you want opposing counsel to use. 3. Use a “Word Wheel” index consisting of the frequent key words or terms that appear. 4. Review and analyze the Da Silva Moore Case (Peck Decision). 5. Be prepared for “seed set” battles in the future. 6. Probative evidence is paramount for trial lawyers (A jury can only stomach 250-500 exhibits). 7. PC does not do well with spreadsheets, technical documents, handwriting, etc. 8. Tweets do not have enough “text” so it’s best to link the conversations into one document. 9. Don’t forget to use David Brauer’s “Curse Word Search”. 10. De-Duplication needs to be well thought out (no global de-duplication). 1. Use Non-Disclosure Agreements (NDA’s) before providing data to vendors. 2. Use your own data to test projects (not the Enron data). 3. Find out who else is using the tool. 4. Trend toward end-to-end solutions, collection to production. Some problems with the fact that one piece in the solution does not always stay current. 5. Talk to who’s happy with their tool and who’s not happy with their tool. 7. Read Law & Technology News Articles. 8. Make sure that the vendor has ethical standards (does not demo other people’s privileged information). 9. If using contract reviewers, make sure that they are well qualified and vetted. 10. Consult internally with other departments like audit, etc. to see what they use. 11. Define what you want your review to look like first, then find a tool that does most of what you want done. 1. Keep in mind that the decision that is made today regarding preservation will not be determined until 3 years from now in the courts, where technology will have improved and cost will have decreased. 2. Negotiate a “Technology Pre-Nump” to get access to your data with your provider. 3. Remember that “The Law firm’s job is to make money, corporate counsel’s job is to save it.” – Kimbir Tate, McKesson Corporation. 4. Regarding Records Retention – Ask these questions: 1.) Do you have a records policy or hold protocol? 2.) Do you follow it? 3.) Does it work? (Email management, protocol to trigger a hold, and separating and departing employee’s protocol -60 day policy minimum) – Robert Brownstone, Fenwick & West LLP. 5. Be on the look-out for new technologies such as new algorithms to determine when people are lying because their speech patterns change for fraud investigations and for face recognition technologies. “The Exchange” is coming to Chicago, New York, Houston and Los Angeles this year for those who want to experience the program. If they want to come, they can register at www.executivecounselinstitute.com. Kevin L. Nichols is the Principal of KLN Consulting Group located in San Francisco, which specializes in Litigation, Diversity and Business Development/Social Media consulting. For more information, please visit http://www.klnconsultinggroup.com.